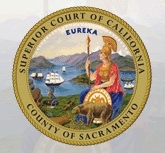 Sacramento County has launched a new Veterans Treatment Court, giving judges the opportunity to sentence veterans convicted of crimes resulting from military service to treatment programs as conditions of probation instead of jail. While all veterans are eligible for this program, priority is given to combat veterans. Veterans’ courts are hybrid drug and mental health courts that use the drug court model to serve veterans struggling with addiction, serious mental illness and/or co-occurring disorders. They promote sobriety, recovery and stability through a coordinated response that involves cooperation and collaboration with the traditional partners found in drug and mental health courts in addition of the U.S. Department of Veterans Affairs health care networks, the Veterans' Benefits Administration, and, in most programs, volunteer veteran mentors and veterans' family support organizations. Veterans’ Treatment Courts are responses to the growing trend of veterans appearing before the courts to face charges stemming from substance abuse, traumatic brain injury, or mental illness. 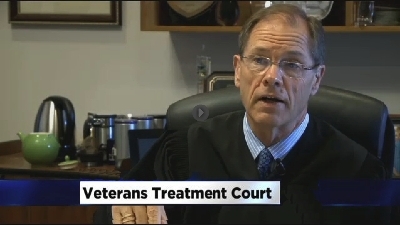 Drug and mental health courts frequently serve veteran populations. Research has shown that traditional services do not always adequately meet the needs of veterans. Many veterans are entitled to treatment through the Veterans’ Administration and veterans treatment courts help connect them with these benefits.